If you want to know how to store bitcoin, here is the main thing you need to know - bitcoins are stored on the Bitcoin blockchain network. 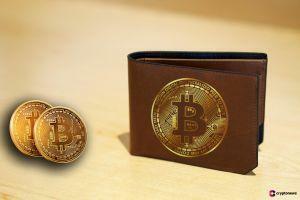 A special program – so-called “wallet” – is required in order to access and use one’s coins. If you want to learn not only how to store your bitcoin, but how to store it as securely as possible, the following information will help you to understand how to store bitcoin properly. The wallet safeguards the secret code you need to use your bitcoins and helps manage transactions, something like an internet banking account. The code, which serves as a password, is called a “private key” and is vital to the security of your money. Anyone who gets your private key can steal your bitcoins. And if you lose your key, your bitcoins are gone, too. So it’s essential to protect private keys against accidental loss and back them up. There’s also another code called a “public key” – that’s the address where others can send you bitcoins. Different ways to store bitcoin. Source: BTC Keychain / Flickr. 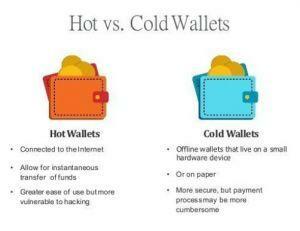 All bitcoin wallets are classified into two categories - hot and cold wallets. Online (“hot”) wallets, where the private key is stored online or on devices connected to the internet – e.g., on exchanges or other websites, computers, tablets, or smartphones. Offline (“cold”) wallets, where the private key is stored on paper or offline hardware like a password-protected USB, or simply in one’s brain (when you memorize a special phrase to access your funds). Online, or “hot,” wallets are less secure due to the threat of hacking. Website wallets are especially vulnerable as you must reveal your private key to a third party. But hot wallets are more convenient for daily use. It’s thus recommended to use both types of wallets – hot wallets to hold small amounts of bitcoin for daily transactions, and cold, or offline, wallets for storing more substantial sums. In any case, you can have as many wallet addresses as you like. Furthermore, both hot and cold Bitcoin wallets are classified into hardware, desktop, mobile, web, and paper wallets. Hardware wallets. 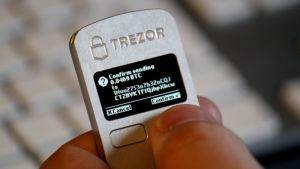 Bitcoin wallets that store your private keys on external devices, such as encrypted USB sticks or similar. The most popular brands are hardware wallets by Trezor and Ledger. Paper wallets. The term generally refers to a physical copy or paper print of your public and private keys. Here’s how you can generate one. Desktop wallets. Desktop wallets are software installed on computers or laptops. Their security depends on the security of your computer. Mobile wallets. Mobile wallets, like desktop ones, are software wallets, but usually, they are substantially smaller and simpler. Web wallets. Web wallets include browser plugins, website wallets, exchange wallets, and other sorts of “hot” wallets. To learn more about their pros and cons, and how to choose the right bitcoin wallet for you, see your guide on how to choose a Bitcoin wallet. 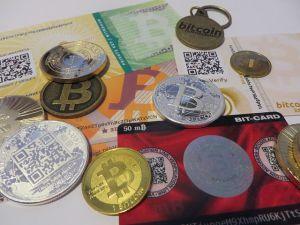 Storing bitcoin is easy, but doing so securely often requires careful planning and time. You have to find the best combination of storage for you. If you’re going to use bitcoin daily, it’s likely that you want to use a convenient mobile or web wallet. If you just bought a lot of bitcoin for long-term storage, then cold storage is the right way to store them. Speaking of storing bitcoins, all it takes is a transfer to your private wallet address, and they are stored after your transaction is confirmed. What takes the most time and effort is making sure that no one has access to it, so make sure to step up your security game before getting large sums in cryptocurrency. Please read our guide on “how to store cryptocurrency safely” to learn more about it. If you want to learn more about bitcoin security in general, please see our “Bitcoin security tips for beginners” guide. Now that you’re familiar with all the different types of wallets and bitcoin storage options, it is up to you to choose the right method and do everything in your power to protect your private keys.